I have long been fascinating with archery–one of the many reasons why I love Christy Farley’s debut novel GILDED. There is nobility to archery that doesn’t necessarily exist in other forms of hunt. When you aim an arrow, you have to be grounded and centered, very aware of where you are in the world, in touch with your surroundings and your presence. And when you shoot the arrow, you are projecting a part of yourself away from the very world built around you. It is simultaneously an action that roots you and sets you free. My fascination with archery in literature stretches back far as well. Many of my favorite characters are archers–Kaguya from Inuyasha, Robin Hood, Katniss from The Hunger Games, Odysseus, Legolas, and Artemis. Archery has long been a noble and lauded element of heroes and literature. But my own personal experience came from something far less lofty. Okay, okay, so Duck Hunt isn’t exactly archery. For all you people born in the 90s or (omg I am old) in the 2000s, Duck Hunt was a really cheesy video game where you aimed a plastic gun at the television screen and tried to shoot pixelated ducks. I was fascinated with it as a kid–I never had a video game console until I was an adult and could purchase my own, but my parents were friends with a family with a kid that had one. We’d go to his house and all my brother and I wanted to do was play Duck Hunt. 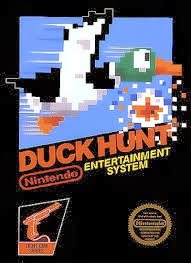 I have never been good at video games, and Duck Hunt was no exception. I always seemed to be hundreds of points behind the boys, and it frustrated me how often I’d aim carefully and yet…still miss. And that stupid electronic dog laughed at me every time. But the more I played, the more I learned a few important things. The first thing you have to do is locate the duck. This isn’t as easy as it sounds. That darn duck would come out at all different places, zig and zag across the screen, and then whizz away before you have a chance to blink. But the same is true of life: the things that you want often come out of nowhere, and are far more elusive for you to grasp than you’d realize. But if you focus hard enough–and I mean focus so hard that you squint at the screen and give yourself a headache and cramp your hand around the plastic gun–if you do all that, you’ll find your target. If you want to hit the duck, you can’t aim at the duck. You have to aim in front of it. I became a virtual sharpshooter. I’d line that flapping duck up in the plastic sights of the neon orange plastic gun, and then I’d tilt it, just a bit, and shoot not at the duck, but at a spot just before it, where it would be by the time my electronic beam of light hit the screen. It was such a simple lesson, and once I learned the trick of the game, it became easy. But, as with all things in life, the simple lessons are often the most important ones. When there’s something in life you want–whether it be to publish a book, or make a piece of art, or earn a degree, or get a job, or anything, really, don’t aim just for the thing you want. 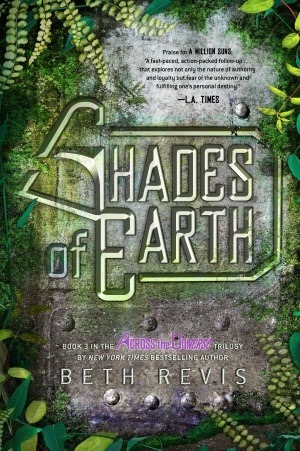 Beth Revis is the NY Times bestselling author of the Across the Universe series. The complete trilogy is now available in more than 20 languages. 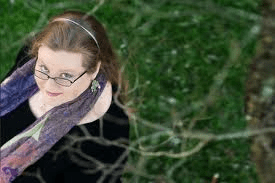 A native of North Carolina, Beth is currently working on a new science fiction trilogy for teens. Definitely a great lesson to learn. 😀 Thanks, Beth Revis. This is something I would love to own, I have so many ebooks but I do not find them the same and love holding a book! Fingers crossed I win I love Beth Revis and this series!!! Definitely a great giveaway I’m so excited. Such a great lesson behind this. It’s definitely something that I can relate to. I had no idea what my ‘dream’ was. Everyone I met had that one thing that they wanted to achieve, that dream that kept them believing. When I read Beth’s novels, they gave me two dreams. I realised that I loved to read more than anything else, and that creating my own world in words was the best way to spend my life: I decided that I want to write for a living. The other dream was to be free, to stretch my arms out as wide as possible and gaze at the sky with wonder and joy whenever i was outside. I did it when I read Across the Universe, and I’ve been doing it every day since.